The perfect blend of form and function! This versatile electronic cash register is comparable to Casio SE-300 or Casio SE-2000 models. 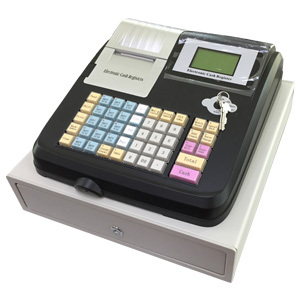 POS Market’s cash register offers high-performance features in a stylish, compact body. 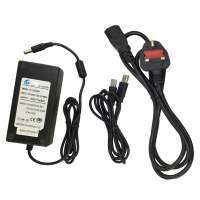 It use 58mm thermal line dot printer movement and 8 line LED digital. For small businesses simply getting underway, the purchase of a standard electronic cash register is commonly a more cost-effective investment even though you begin out with a low-cost model, you’ll always upgrade to a lot of superior equipment later as your business grows. This electronic cash register is ideal for retail formats ranging from small kiosks to large food courts. 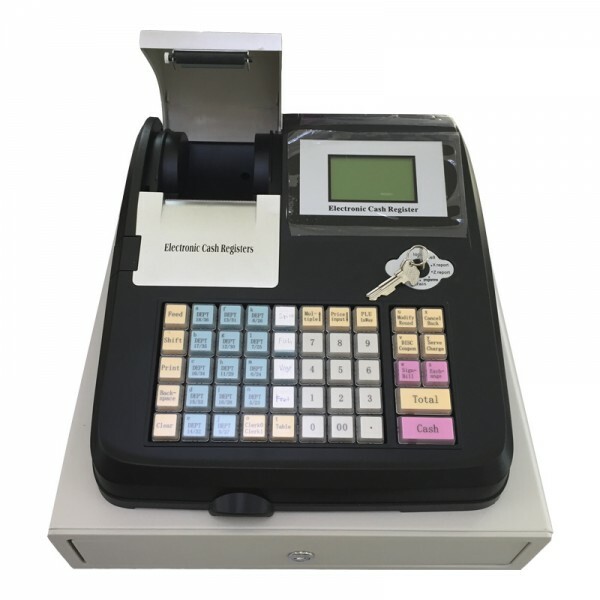 As well as being easy to operate, it has a clearly arranged operator display and preset text keys, making it perfect for tackling the demands of everyday business. 10000 PLUs, 250 tables can opened, forbid expansion of system memory. Can delimit 20 sets of set meal/package sales. Can print 17 kinds of reports basic on the different permissions, also the users can set some of them to print out together. Can calculate out the profit of sale goods, then print out the profit reports. Printing of sales support abbreviation words, open table/set meal package/serial number/commodity name. 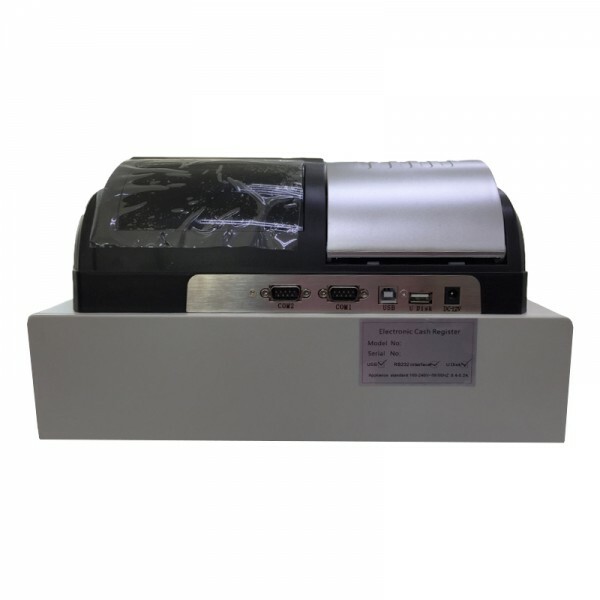 Thermal printer support 2 POS58, copy/kitchen printing/sub-windows printing/sub-bill printing. Support printing of error correction and in-out bills. Support function of code character filtered. Support functions of commission basic on the sales amount both collectors and clerks. Support 31 days records of daily reports, three months records of monthly reports. 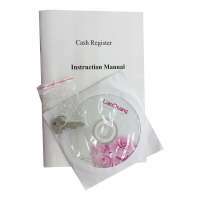 Support U-disk up-down load reports or programming data. Collector screen use LCM 128*64 dot matrix, words show 16*16 dot matrix. Customer screen use 8 lines LED digital tube. Use 58mm thermal line dot printer movement (FTP-628MCL), each line can print 32 characters or 16 words. Can choose 58mm printer paper, when use it, the cash register can print 34*34 lattice. 48 keys, Chinese & English keyboard, easy for uses to operate. Two serial interface connections, can connect PC and laser scanner and thermal printer. 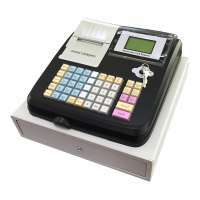 You can purchase electronic cash registers for your business. 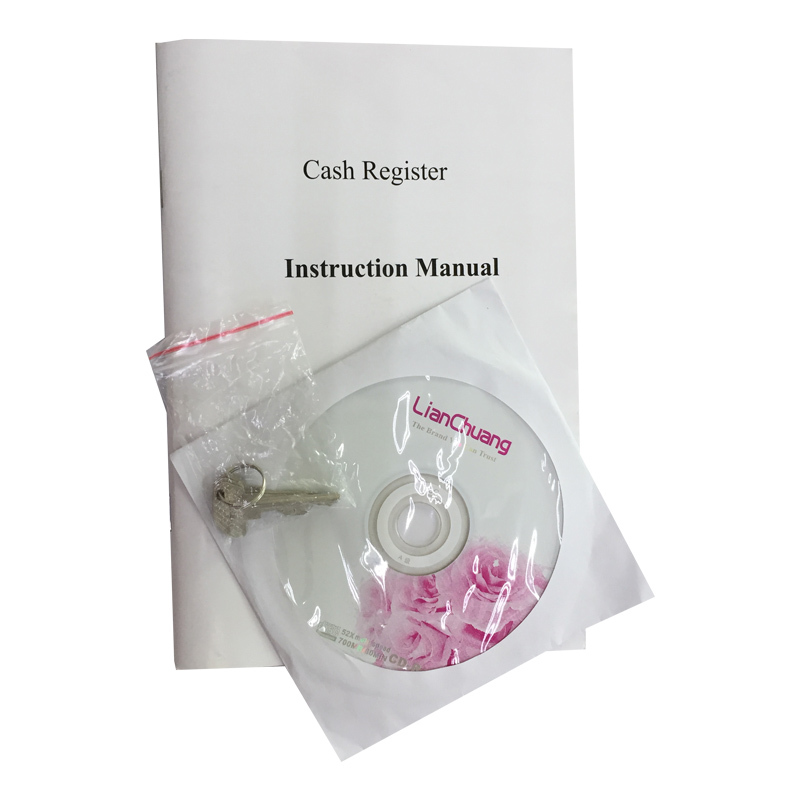 These will enable you too quickly and efficiently process customer purchases and keep accurate records of your daily sales transactions. 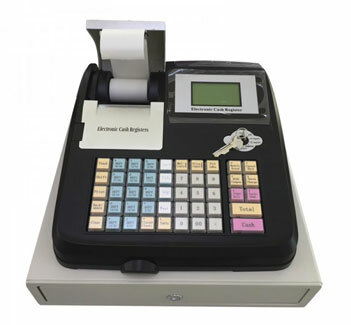 Electronic cash registers offer businesses numerous benefits such as fast checkouts, increase security and audit reports.